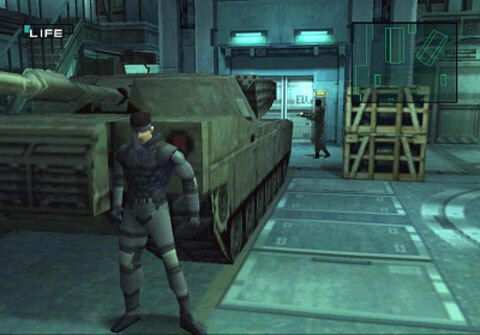 Oh man, Metal Gear Solid... I really cannot sing this game's praises enough, it truly is the ultimate story-driven stealth-action game. I'm only giving a brief, surface level synopsis of what you learn in the first 10 or 15 minutes of the game to avoid revealing spoilers to those who desire to play this magnificent series, so some descriptions will be a bit lacking to veterans of the series. 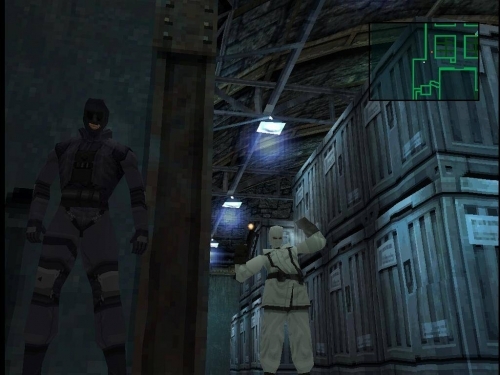 You take the role of Solid Snake. You're enjoying your retirement until your old C.O. Colonel Campbell pulls you back in to infiltrate a secret base in Alaska known as Shadow Moses to rescue the former president of Arms Tech, Kenneth Baker, as well as the DARPA chief, Donald Anderson, and stop the high-tech special forces unit known as FOXHOUND that rebelled from the US government from unleashing a nuclear holocaust on the world. That's really all I can say without giving away the incredibly in-depth story. If you need my recommendation, you sure as hell have it. Plot: 4/5 - The plot is really good, especially for an espionage style game. The writers really keep you on your toes the first time through the game with a lot of plot twists. Music: 5/5 - The music is phenomenal in the game. When studying, I listen to the music frequently. 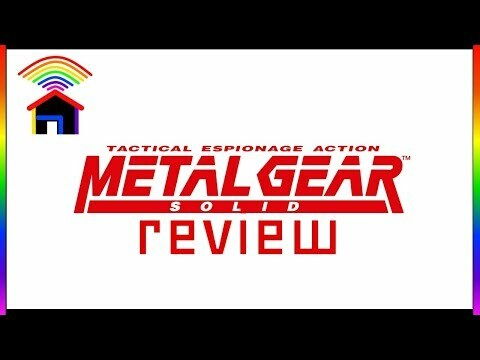 The main theme is beautiful and the dodging the enemies theme is breathtaking. 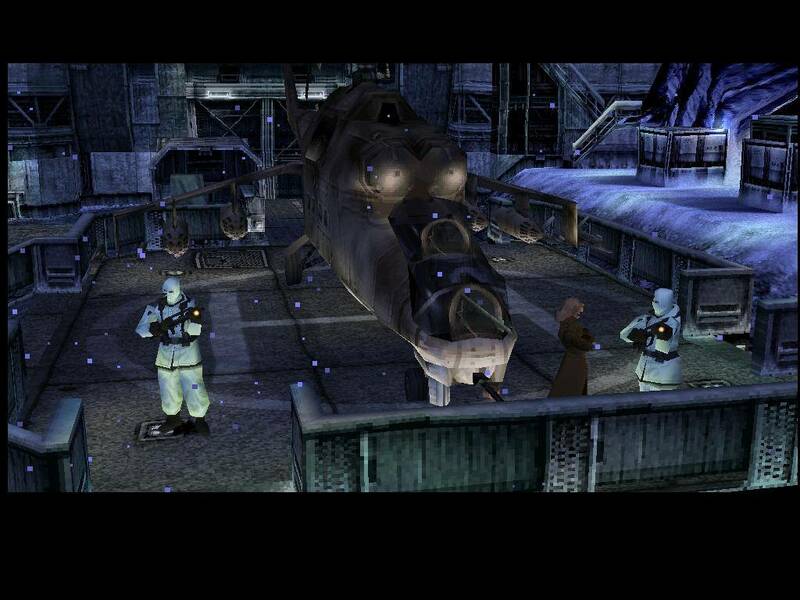 Gameplay: 3.5 - The controls were fairly decent, especially for an early PS1 Title. 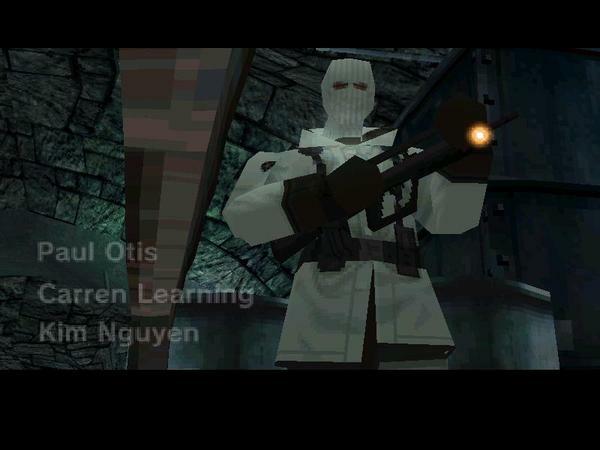 That said, sometimes the controls were brilliant, especially with the SOCOM Pistol, more in weapons section. SOCOM: A specialty weapon designed for covert operations. 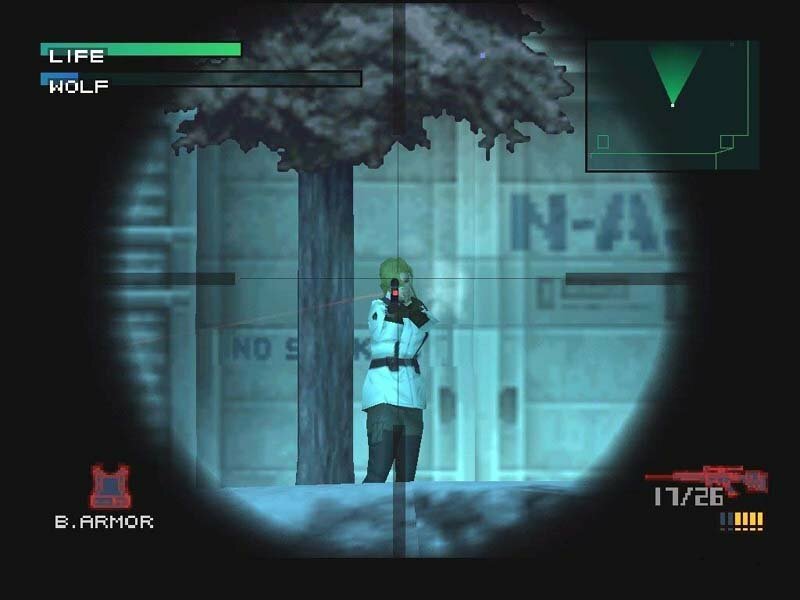 In reality, one could attach a scope and other such features, however in MGS, it has the ability to enable run firing sequences, laser guidance system, and you can even find a suppressor in the first building of the game, so long as you pick up the SOCOM in the truck. Overall Rating: 3/10 (Without suppressor), 10/10 (With Suppressor). Don't bother using it without the suppressor as you won't kill anyone that quickly, and it will alert everyone to your location. With the suppressor, however, it is another story entirely. Just don't get seen as you wipe out room after room with it. The only worry is bullet count. It will be your main gun for the game, so get used to it. FAMAS Rifle: 7/10 - Overall a fairly useful weapon, however never make the mistake of trying to enter a room, guns a blazing. 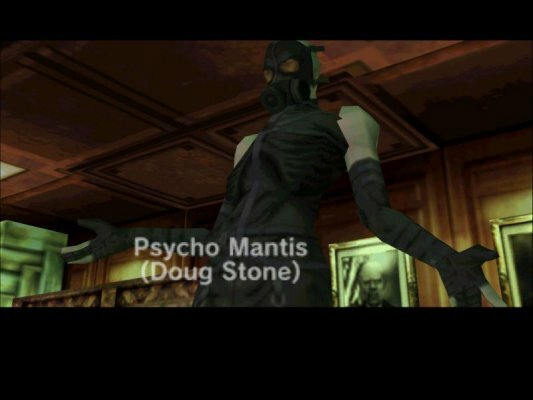 That won't work in MGS. Upon entering Alert Mode, the enemies are unlimited until you reach condition Green again. It is good, however to use the run by fire method to kill a single enemy in your way and enter a new area quickly. It is also phenomenal on bosses and unless a special weapon is required, you will be using it regularly in boss battles. Chaff Grenade: 10/10 - This weapon is refillable by grabbing more Chaff Grenades. As Natasha states, it will jam anything electronic (This INCLUDES your radar for those on normal or easy). Most importantly though, it cuts the connection between cameras and the alert system. In other words toss one and run like crazy if there are no enemies and just cameras (or auto guns). That said against non machines, it is useless so be careful. You will find it useful throughout the game. Stun Grenade: 9/10 - This weapon serves one purpose and one alone in the game. It blasts the entire room with a blinding light and a powerful sound that deafens opponents. It also puts you into alert mode (in other words the enemies become unlimited and you have to get to Evasion Mode as soon as possible. The real trick here is to use them smart. Toss one in a room where you know you have to get to the other side and fast. Also know the precise way you are going as you won't be able to see either. Run for the exit where you are heading and then duck into a hiding place and wait for evasion to wear off. Used correctly, these can be a life saver when you are low on ammo and need to get to a spot to refill it. It should be your fall back, should you run out of SOCOM ammo and need to refill. Used incorrectly and they are useless though so be careful about that. PSG-1: 10/10 - A high powered sniper rifle. It is mainly used in a boss battle between a fellow sniper where you have to use a particular item to steady your hands. Due to the unsteady hands, this weapon can become quite hard to wield. That said if you have patience and need to take out one single enemy from afar, it is a great weapon (and yes some rooms only have one enemy). It is best used in large rooms where there is one or two enemies, preferably where the second enemy won't hear the shot. A very specific weapon to be certain, also you can't move while you are in aiming mode, leaving yourself wide open if someone spots you. NIKITA: 9/10 - A remote control missile that can be guided anywhere you want it. You can also enter First Person View Mode while flying to see where the missile is going. The downsides to this weapon is that it cannot change altitude and it will be shot down by gun cameras as well as a boss late in the game. Other than that, brilliant weapon. It will trigger alert mode once the missile explodes so be careful about that. Stinger: \9/10 - A brilliant weapon. This shoots a surface to air missile in any direction you choose. Fired from First Person view mode, it can also lock onto heat signatures and home in. It can be used to take out cameras as well as is vital in two boss battles of the game. Not bad for a specialty weapon, only downside is the low ammo count. C4: 10/10 - The only weapon on the list that is nearly as useful as the SOCOM pistol itself. Simply place it on a wall, then use a punch (via Circle) and it will explode. It can be exploded at any point. It can also be placed on the floor. This means that you can time it to blow apart the enemies and if you set up more than one, keep rapidly pressing circle to set them off. You can destroy and entire room in this fashion and it is deadly beyond belief. Of course it will set you into alert mode, unless there is no one around to hear the blast. It is also critical for at least one boss and can be used in others as well. Grenade: 7/10 - Ahh yes the good old fashioned Frag Grenade. There are a few issues I have with this grenade, it is only useful if you get the enemies close together (Which I have accomplished before). Other than that, it can blast a guard out of the way in one shot so you can get to an elevator or a door. It is a great supplement to the Claymore mines though and when used in the right timing, can really save Snake from a lot of painful situations. It is also a required weapon for a boss fight. Downsides to the Grenades though is the five second delay, which is why holding it until there is only one and a half seconds left is critical. This means you have to be conscious of what is going on as well as the time ratio. Second, it puts you in alert mode, so if you aren't fast, you could find yourself in a war of attrition, one which you cannot win. It is not a bad weapon, just not one of the best in a pinch. Claymore Mines: 7/10 - Much like the Grenades, it is a powerful tool to dispense with annoying guards. Set it in place, get into hiding and wait for the fireworks. Make sure it is in a pathway where soldiers walk. It is also an excellent choice to take out a boss later in the game where a frontal attack would be suicide. Used correctly (much like the Grenades) it can be an amazing tool. It does set you into Alert the moment one blows up, but if you are already well hidden (which you should be before it blows up) then you will be in prime shape to dodge Alert and Evasion. Of course it won't get rid of the guard you blew up, but you can use the ensuing confusion to slip into an elevator and swap floors and instantly use a Cardboard box to dodge enemies. Very strategic weapon. 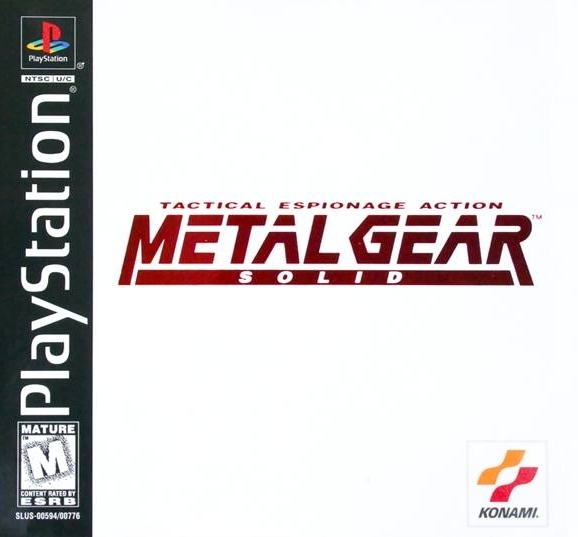 Re-playability: 9.5/10 - With new game + Mode where you can get two new items and have to refined your weapons, the play through is fun after you have won with both endings. Overall: 9.5/10 - A phenomenal game that is long enough to be a good gameplay, but short enough it doesn't drag on forever with a great plot, and breathtaking music. The gameplay is pretty good and the re-playability is really high. It is one game I never really get tired of. Now you can add videos, screenshots, or other images (cover scans, disc scans, etc.) 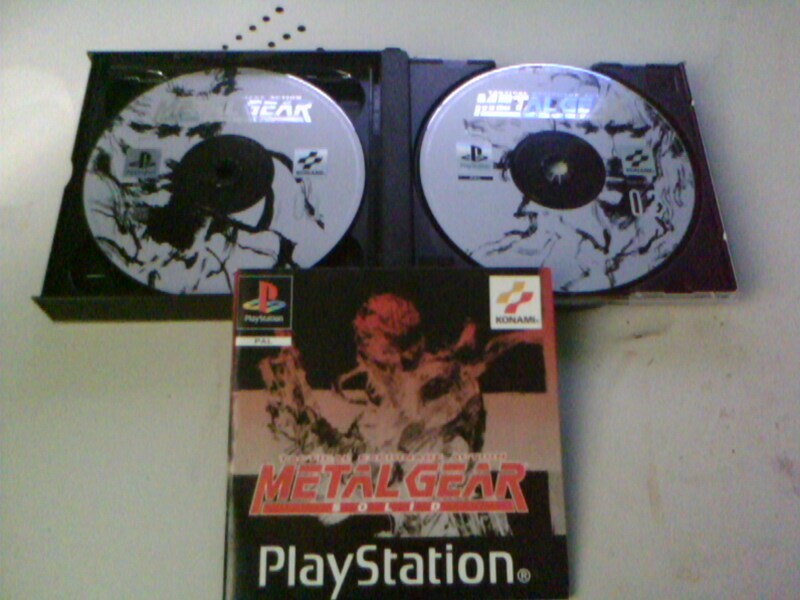 for Metal Gear Solid (E) (Disc 1) to Emuparadise. Do it now!